Learn how to speed up your WordPress site using a reverse proxy cache called Varnish. In this tutorial I will guide you through setting up a caching server to significantly increase the amount of traffic your site can receive, while decreasing your web server’s work. PHP is known as an interrupted language. In simple terms this means that it is not pre-compiled. Having to interrupt the code, compile into something the computer can understand, and then finally pushing the output to a user is considered computationally expensive. All of this work means your web server, such as Apache 2, for example, requires a lot more resources to serve content. The affect is a signficant decrease in the amount of users you can serve without having to increase your CPU or RAM. PHP has introduced a number of features that help tackle this issue. One of the earlier features was caching the byte code that the inturreptor generated when a page was requested. Rather than having to re-interpret the PHP file and convert it to byte code every time it is requested, PHP can simply save and reuse the existing byte code. With the introduction of PHP 7 we saw a number of major changes that significantly increased PHP’s performance. Varnish is a reverse proxy cache. A reverse proxy simply means that all requests to your web server are funnelled through it before going to your web server, and all responses flow through the proxy back to the end user. 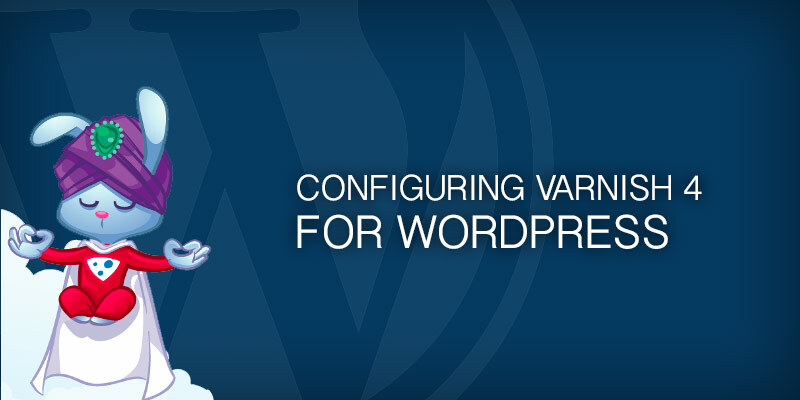 This allows Varnish to monitor all traffic and store pre-compiled, static versions of your content. Serving static contents is enormously faster and less resource hogging than having to compile code before serving it. Varnish can be installed directly from Ubuntu’s official repositories. As long as you running at least 16.04, the version available will be 4. By default Varnish will run on port 8080. That may be find, as you may have your caching server sitting behind a load balancer listening on port 80. If this doesn’t match your configuration, and traffic flows directly to your server, you will need to adjust the settings to have Varnish listen on port 80. To install Varnish, run the following command. Create a the directory for the Varnish service configuration. Create the new service file. Open the file in a text editor, such as VI. We are setting the cache to reside in RAM (-s malloc) and for it to occupy 256 MB of space. This is a good setting for a server with 1 GB of memory. Backup the existing vcl file. Create a new VCL file. Add a backend server – the Apache 2 web server hosting the site, for example. Only allow cache purges from the localhost or our WordPress host. Setting rules for requests received from an HTTP client (web browser). We need prevent caching things the are either sensitive (admin page access) or may break things (Google Analytics). Add vcl_pipe and vcl_pass directives. Map cacheable items to hash for quick lookup. Strip information from responses sent from the backend servers. We may also choose to add new headers and other information here, too. Add additional information to the response header. For example, we can add whether the particular URL has been returned from cache or not. This helps with debugging from a client. Your configuration file should like the following example when done. # and https://www.varnish-cache.org/trac/wiki/VCLExamples for more examples. Before restarting Varnish to apply your new settings, a good practice to have is validating your configuration file’s syntax. If you were to restart the Varnish service with an invalid configuration file, you would bring your caching server offline. To save yourself some grief, test your changes every time. To test our configuration file, run the following command. We’ve created our configuration file and have tested it for syntax errors. We can now, finally, restart the service to apply our new settings. Verify Varnish restarted without errors by viewing the status of the service.